This is my second post on radish. To be honest, I’m not a big fan of radish. So when I cook any radish recipe, I try to flavor it up with something other than the normal. 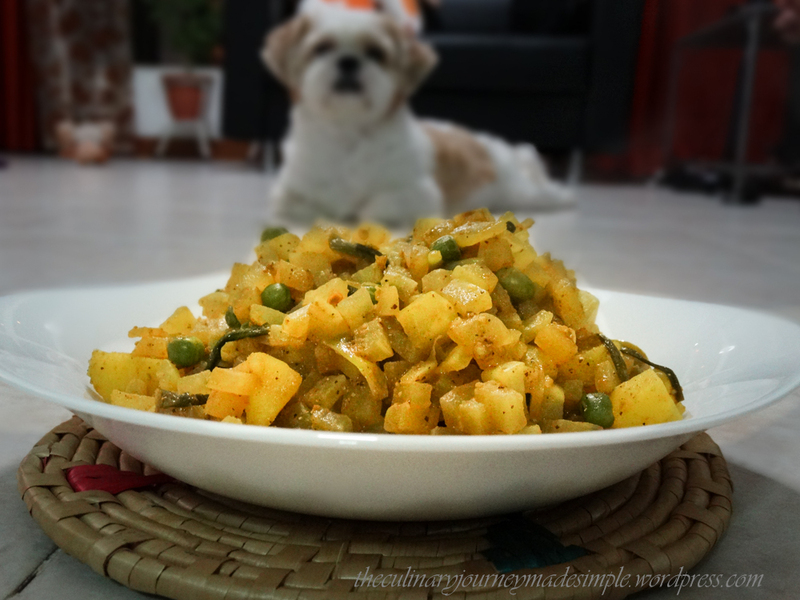 I can’t remember the radish recipes which were cooked at home when I was a kid, but it was definitely not something I liked back then as well. 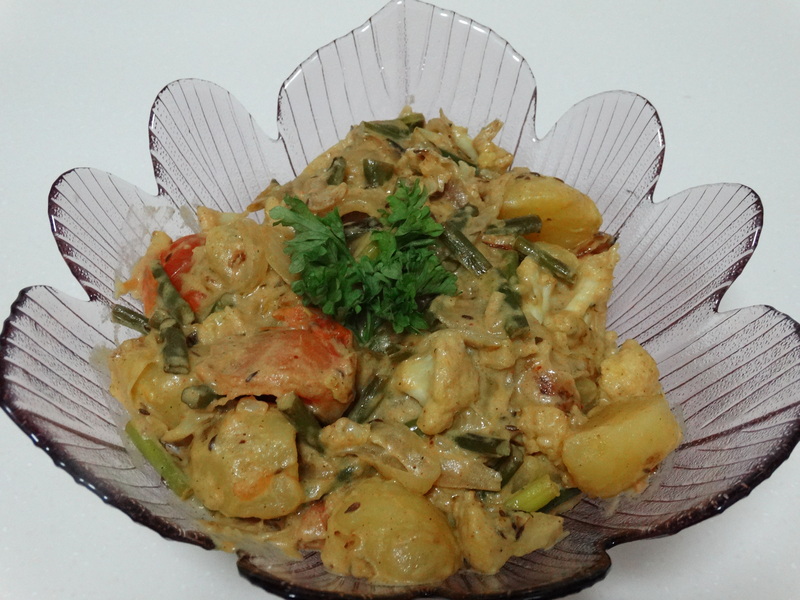 I think it was mostly radish added to mixed vegetables or just normal radish curries (which were damn boring)! 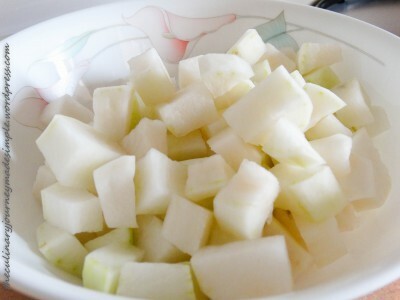 But I realized with the right spices and ingredients, radish is not that bad! 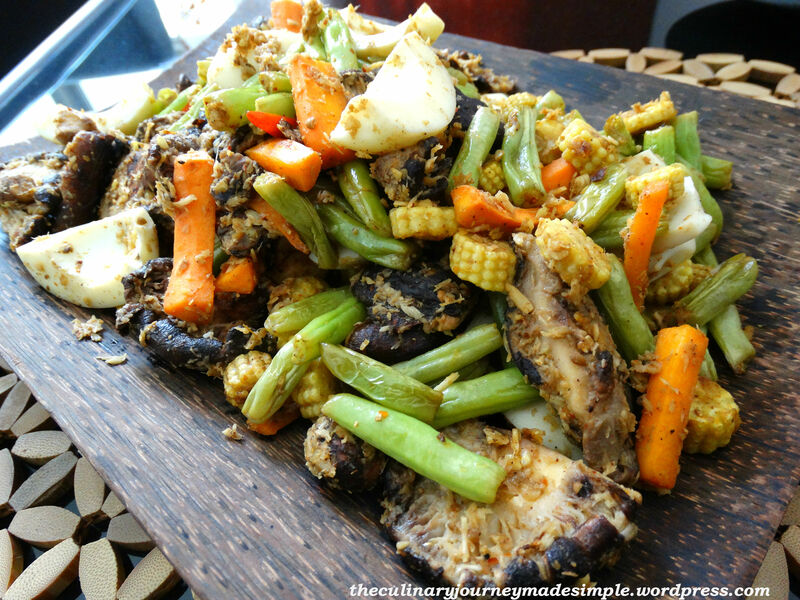 So I cooked this recipe few days ago on one of the weekdays. Weekdays are always tight in schedule, so I had to make something which was not so time-consuming. 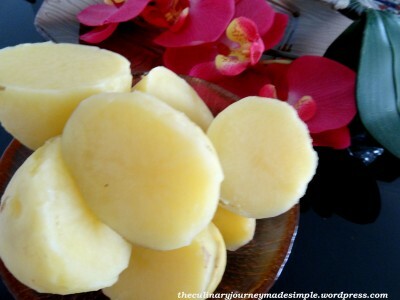 I had one radish in stock, so I decided to add in some potatoes to add volume to the dish. 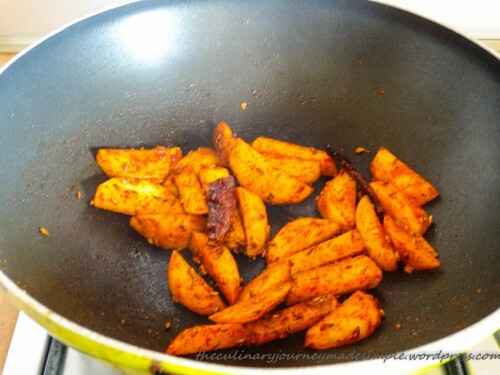 Step 1: Heat oil in a non-stick U-shaped vessel or pan. Add the dried chili and cumin seeds. Once they splutter, add the potatoes. 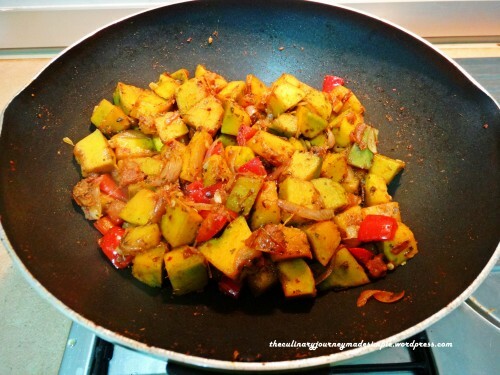 Follow by adding the paprika and mix well. 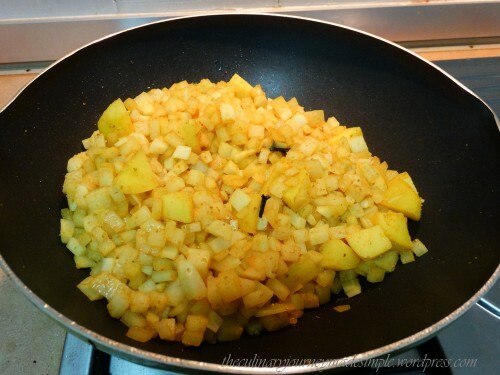 Cook for around 2 minutes by stirring intermittently. 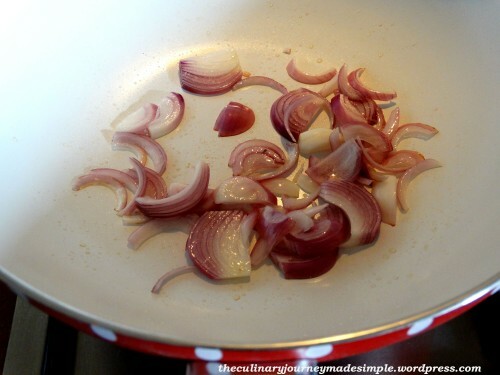 Step 2: Add the onion and cook for another 2 to 3 minutes. Step 3: Follow by adding the cubed radish, garlic and cumin powder. Mix well for around 1 to 2 minutes. Now add half to one cup water and cover the pan. Cook under low flame for around 10 to 15 minutes. Uncover the pan and stir every once in a while. Add salt to taste. Step 4: Once it is almost done, add the tutti frutti and sugar. Mix well and cook for another 2 minutes or so. Step 5: Serve hot with Indian or any other freshly baked of your choice. Add cream (1/4 to 1/2 cup as you desire) instead of water, if you want to give a thick and creamy texture to your dish. 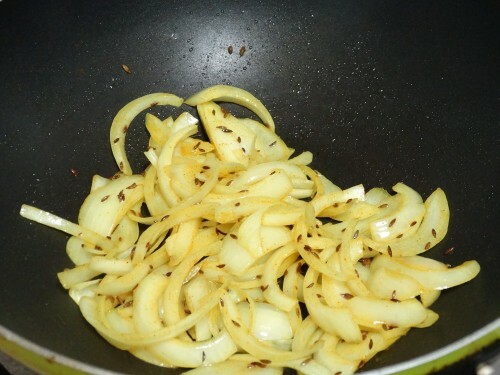 Add some chili powder and ghee (clarified butter) if you want to spice up your dish and add extra flavor. You can add raisins if you don’t have tutti frutti in stock. It’s such a pleasant day today….finally it has rained again!! I can smell the sweet and fresh fragrance of the rain….it’s so refreshing!! A cup of coffee and here I am writing this post after a long long time. Yes…. the past few weeks have been very busy with work and other stuff and I haven’t done much cooking either. A hectic phase I guess! 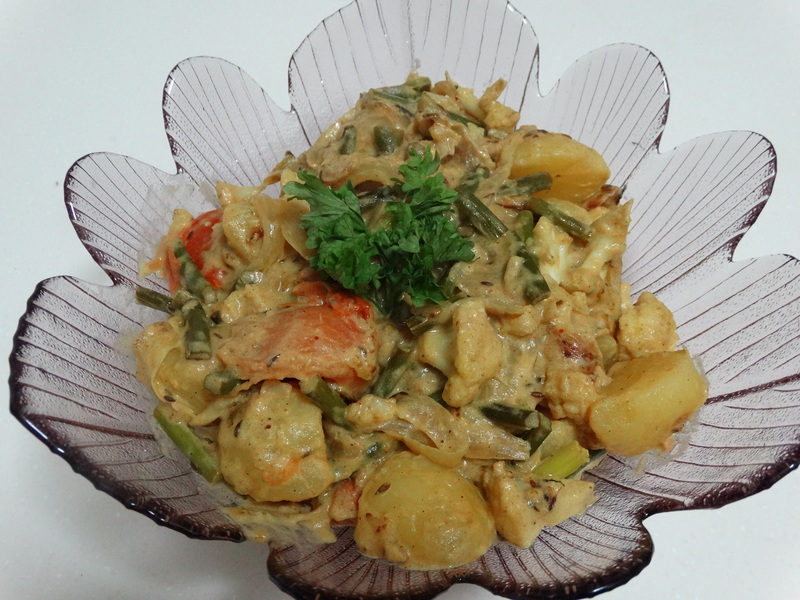 Today’s recipe is a dish I prepared few days ago for dinner. 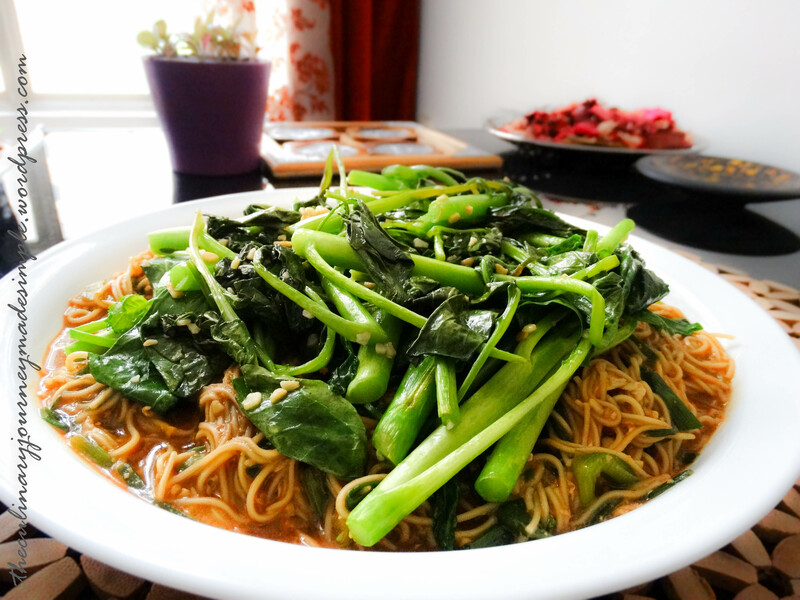 I wanted to keep the noodles simple and hence prepared it only with vegetables and egg tossed in the usual sauce. 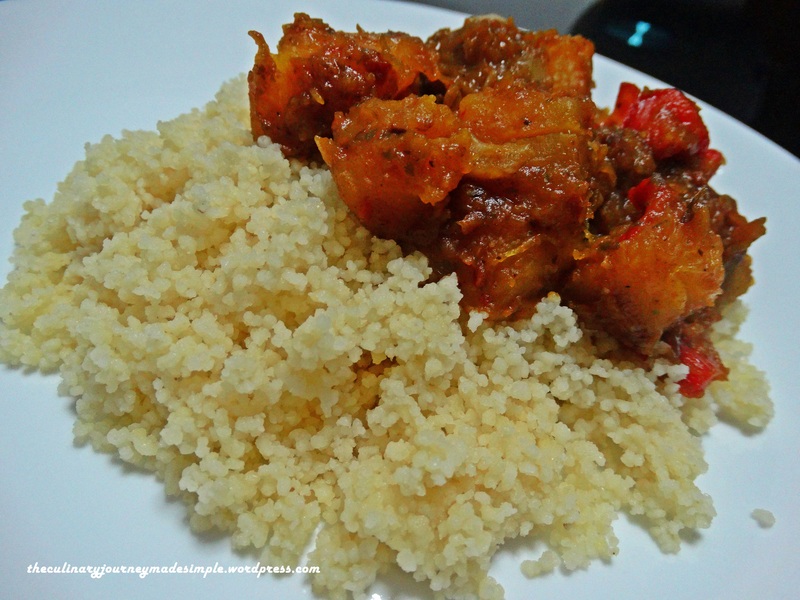 When you have stuff going on and not much time on hands, this is just the right dish as it doesn’t take much time and is quite alluring to the taste buds as well. 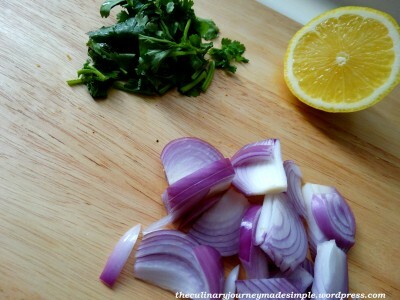 Mix all the ingredients below in a bowl. 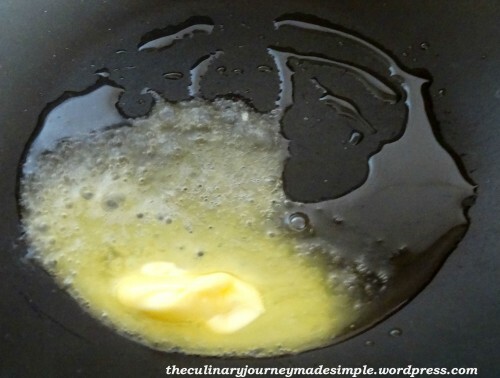 Step 1: Heat 1 tbsp oil in a pan. Add 2 tsp of the minced garlic and stir for 10 seconds. 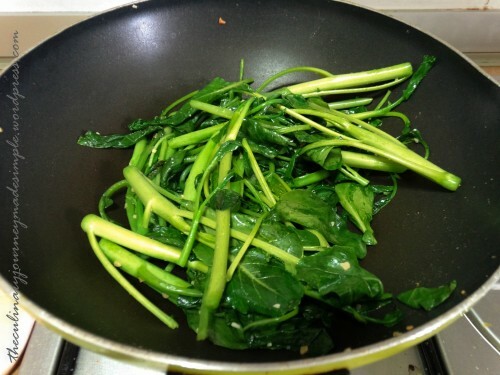 Add the kailan and mix well with the oil and garlic. 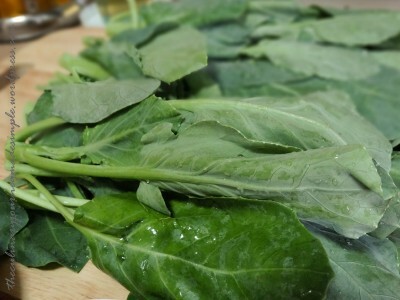 Cook for 1 to 2 mins until the leaves are soft. 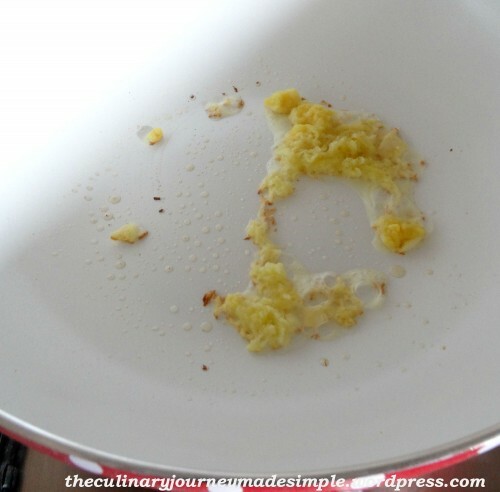 Transfer to a dish and keep aside. Step 2: Heat the rest of the oil in the pan. 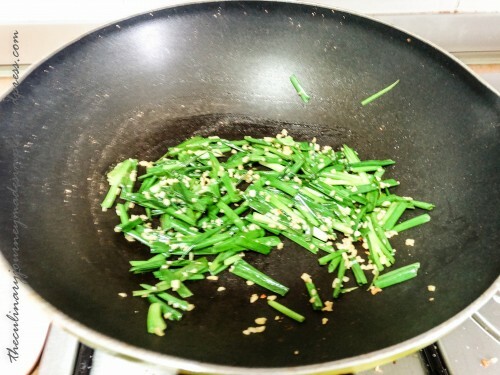 Add the minced garlic and spring onion. Mix well for around 30 seconds. 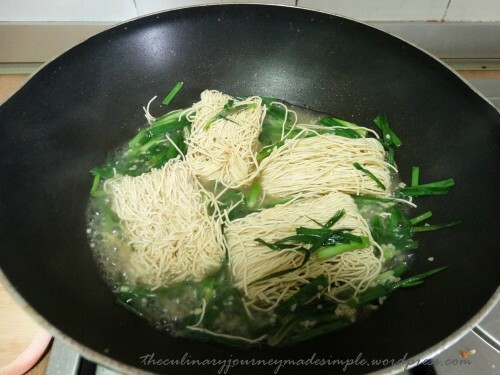 Add the vegetable stock followed by adding the noodle blocks. 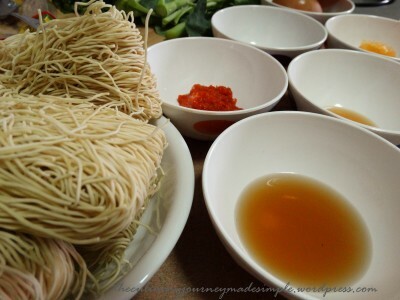 Once the noodles are a little soft, add the sauce mixture. 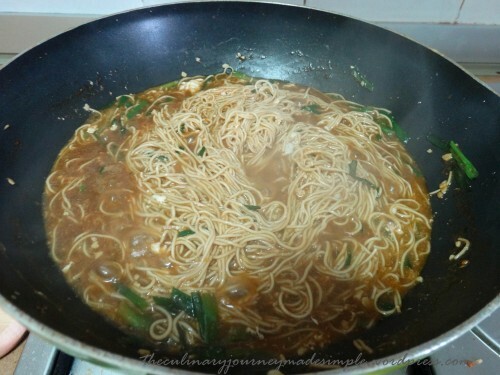 Cook for another 1 to 2 minutes until the noodles have absorbed only a part of the sauce mixture. Step 3: Now add the egg whites. Mix well and check for salt. Transfer to a serving dish. 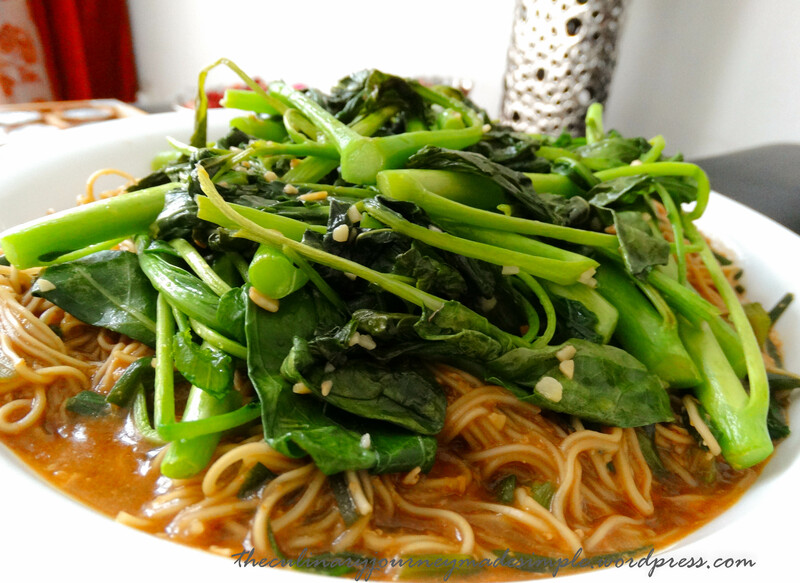 Add the cooked kailan on top so that it covers the noodles. 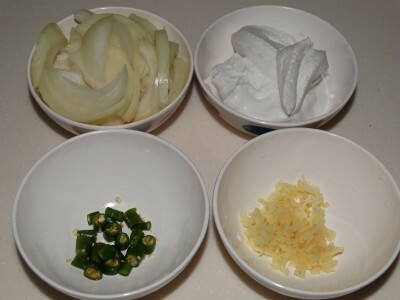 Step 4: Serve hot as a standalone dish or with delectable sides of your choice. I like getting creative in the kitchen when I have time on hands. I guess reading different cook books helps. 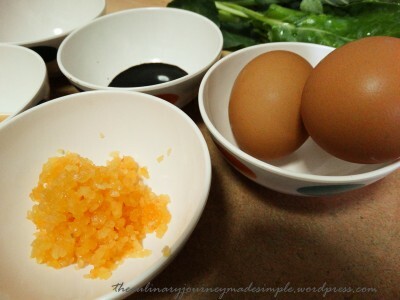 I find them to be very good source of knowledge for different ingredients and style of cooking. So while in the kitchen, I like mixing up various ingredients I already have and creating a dish out of it or giving some twist to the already well-known recipes. 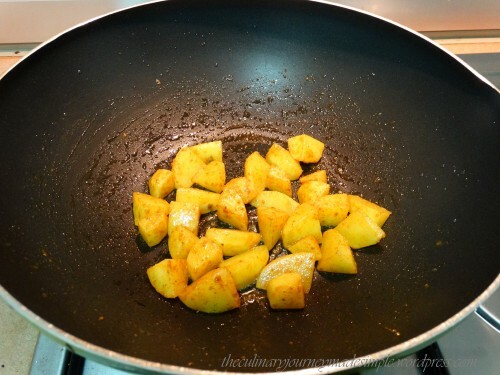 Step 1: Heat 1 tablespoon of oil in a pan. 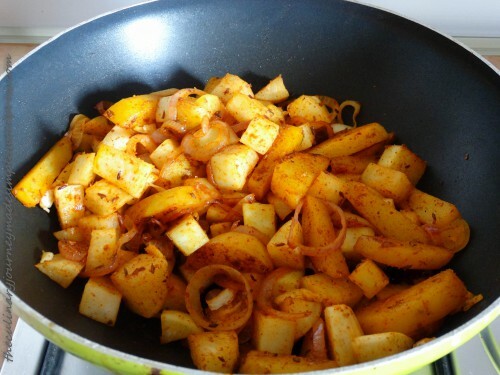 Add the potato and turmeric. Cook for around 2 to 3 minutes. Step 2: Add the cardamom, cloves and cinnamon sticks. Follow by adding the rest of the oil and the radish. 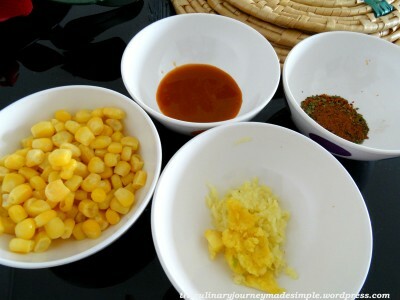 Mix and cook for around 5 minutes. 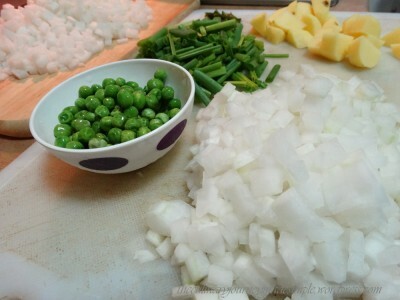 Step 3: Add the spring onions and green peas. 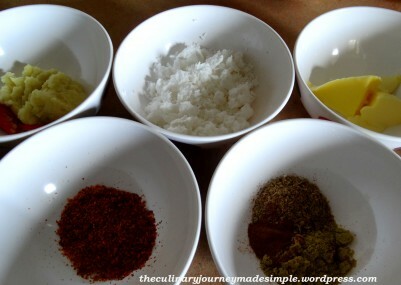 Add the rest of the spices (coriander powder, cumin powder, chili powder, paprika) and mix well. Let the mixture cook for another 15 to 20 minutes or until the radish is soft. Stir occasionally as required. You will notice that the radish releases a bit of water. 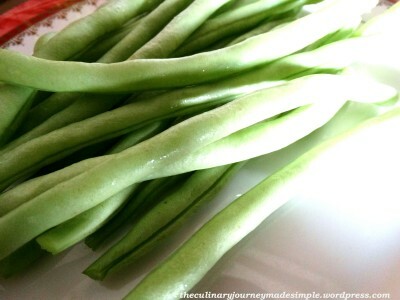 So you would need to cook for a while until you get rid of the excess water, so that you have an almost dry consistency. 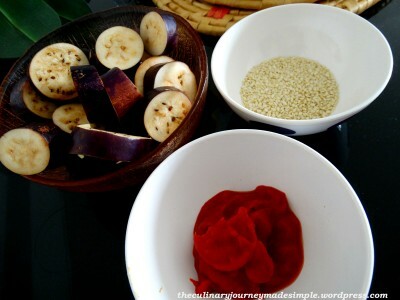 Step 4: When the radish is almost done, add the pickle and honey and mix well. Cook for another minute or so. Add salt as required. 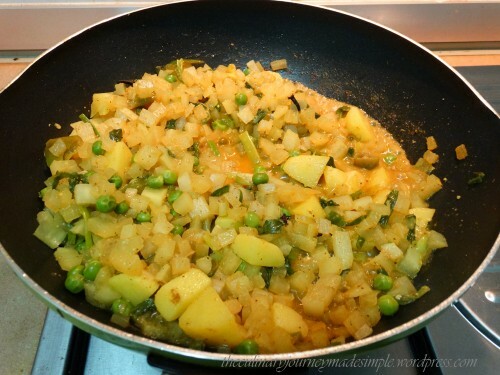 Step 5: Serve hot with Indian bread or rice. 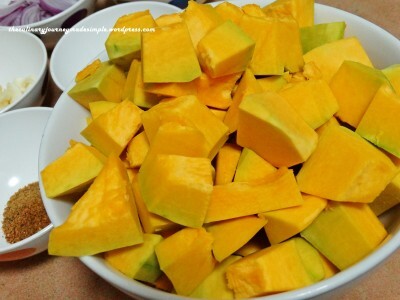 Pumpkin has been one of my favorite vegetables all along. 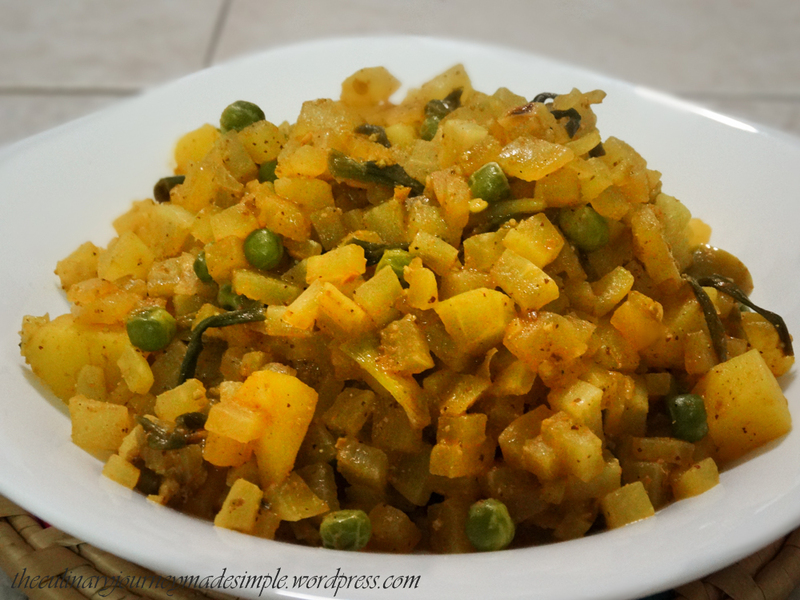 However, most of the pumpkin dishes I’ve had and prepared till date were cooked in Indian style. 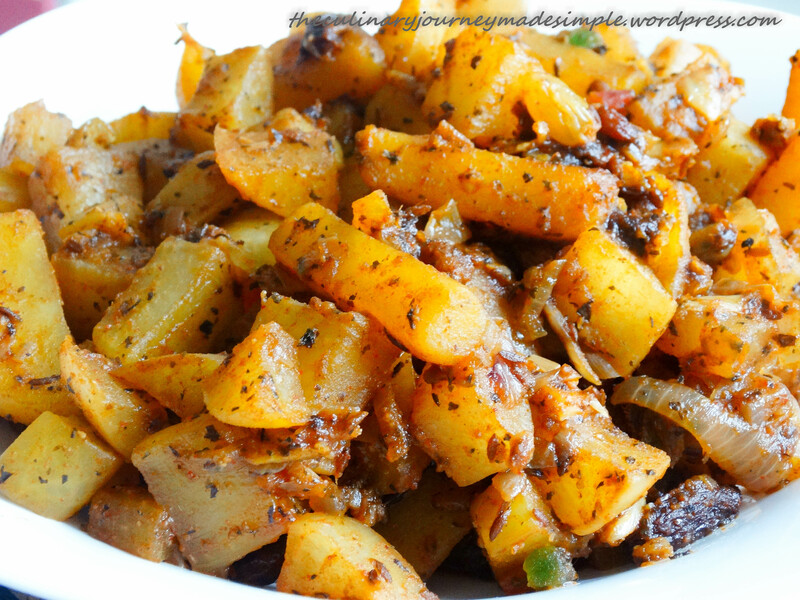 This time I prepared it differently using red pepper, parsley and a few other spices. The dish turned out to be very colorful; the parsley and the red pepper imparted a very unique sweet fruity taste to the pumpkin…something entirely different from what I’ve had before. 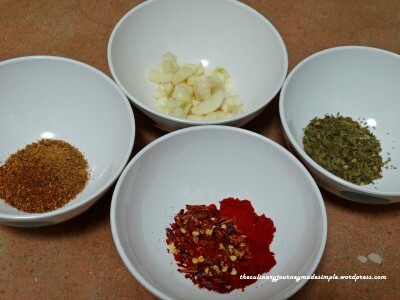 Turkish spice mix – 1 tsp. 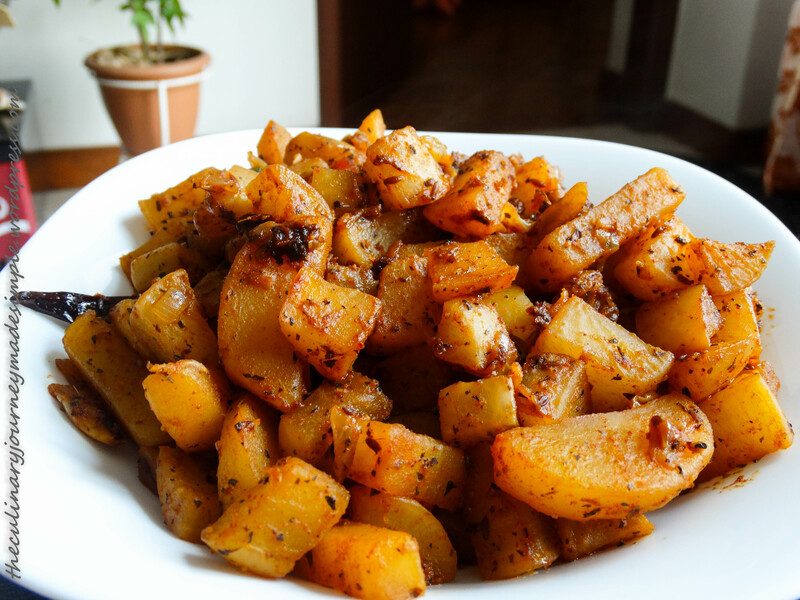 You can prepare this at home as well by mixing black pepper, fennel seeds, cumin seeds, coriander seeds, cinnamon and cloves in a grinder into a powder. 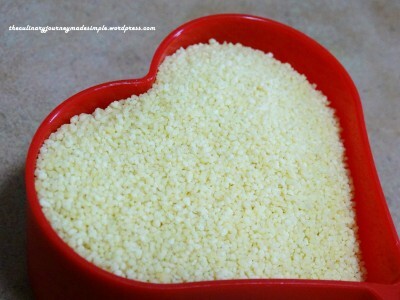 Step 1: Boil the couscous with salt according to the packet instructions. Keep aside. 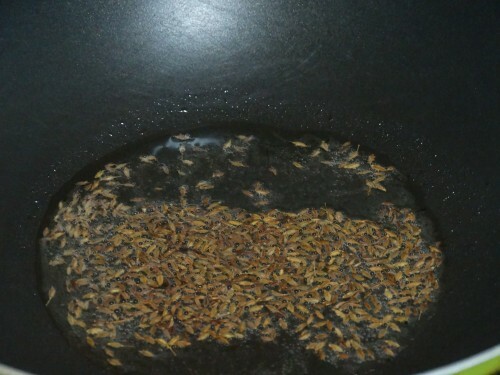 Step 2: Heat oil in a pan. 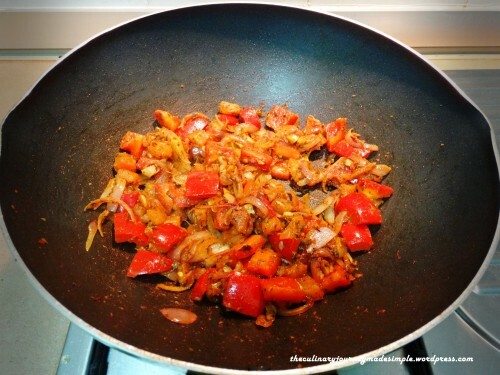 Add the onions and tomatoes and cook for 2 minutes. Step 3: Add the cumin powder, spice mix, paprika and dried parsley. Mix well. 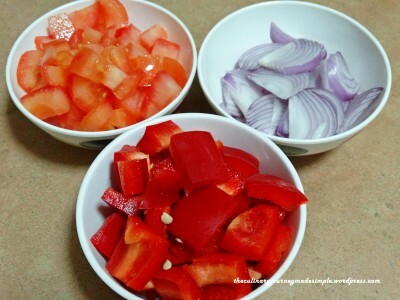 Follow by adding the red pepper. Stir and mix well. Cook for around 3 minutes. Step 4: Add the pumpkin cubes and mix well. After stirring occasionally for another 5 minutes, add the vegetable stock. Let it cook until the pumpkins are soft and you have the desired consistency. Make sure you stir every few minutes as required. Add salt for taste. Step 5: Transfer to a serving dish. 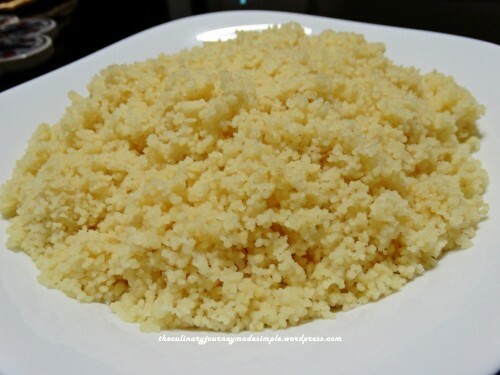 Serve hot with the couscous or freshly baked bread of your choice. 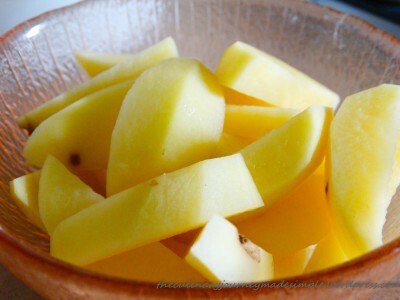 You can add some dried fruits to the dish as per your preference. 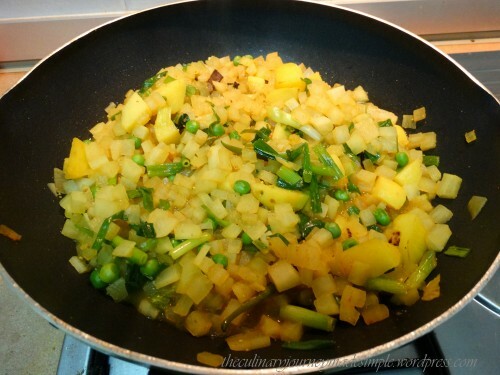 Add 2 tsp of clarified butter (ghee) to the dish while it’s hot to add some extra flavor. Homemade Pumpkin Seed Recipes: Oven Baked Delights in 20 Minutes or Less! Step 1: Heat olive oil in a pan. 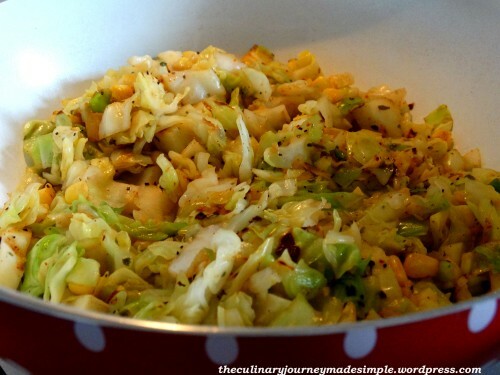 Add the ginger garlic paste followed by the chopped cabbage. Cook for around 3-4 minutes. 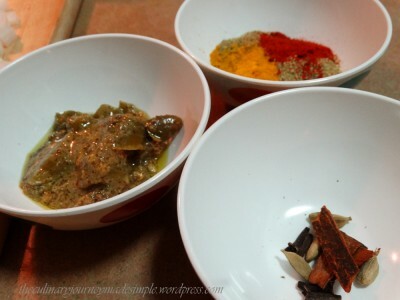 Step 2: Add the cumin powder, dried parsley leaves and chili lime powder. 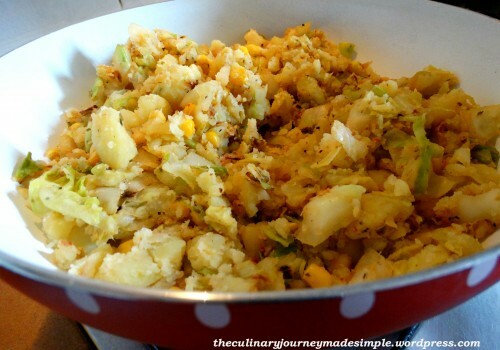 Follow by adding the corn, mashed potatoes and salsa. Add some salt for taste. Mix well and cook for another 2-3 minutes. 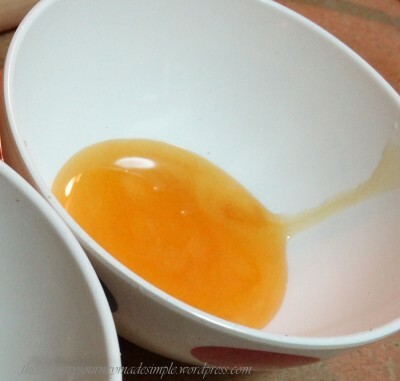 Transfer the mixture to a big bowl and let it cool for some time. Meanwhile, preheat oven to 180 degrees C for 10 minutes. Step 3: Make small balls or squares (shape it as per your preference) from the above mixture. 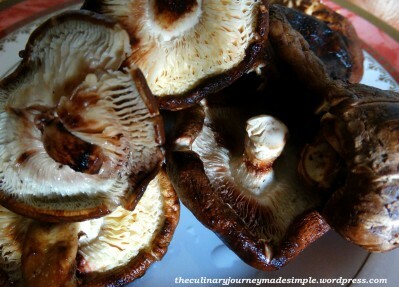 Brush each of them lightly with some olive oil. 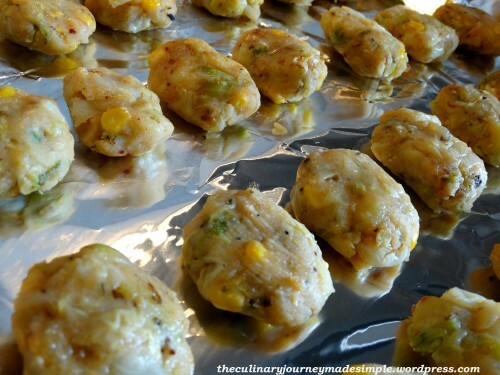 Place them on an oven tray covered with aluminium foil. Bake for around 20-30 minutes at 180-200 degrees C until you get a nice golden brown kofta. 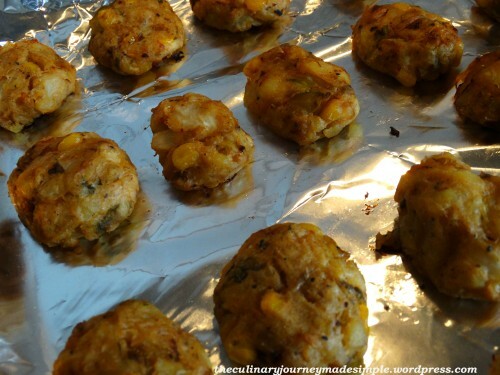 Step 4: While the koftas are being baked, heat another tablespoon of olive oil in a pan. 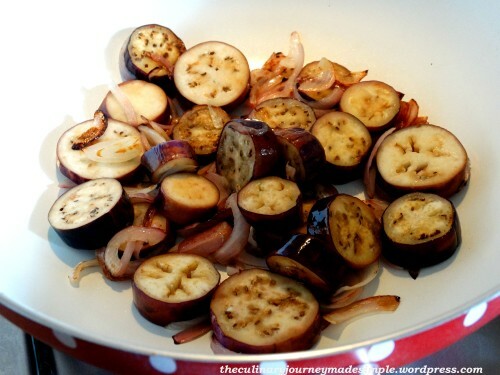 Add the onions and eggplant. Cook for 3 minutes or so until the it is soft and starts changing its color. 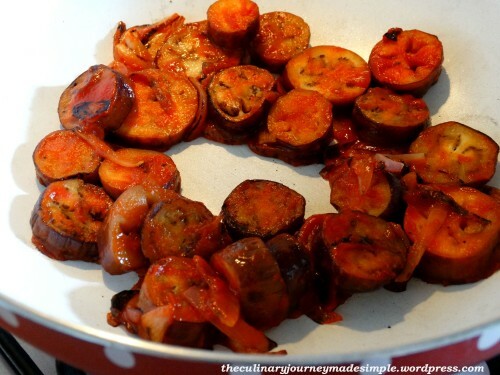 Step 5: Add the tomato sauce or puree and mix well for another minute. Add the sesame seeds and coriander leaves. Add 1/2 cup of water after few seconds. Cook for another 5 minutes or so until you have the desired consistency. Transfer to a serving bowl. Check your koftas now. Once they are done, transfer to a serving dish. 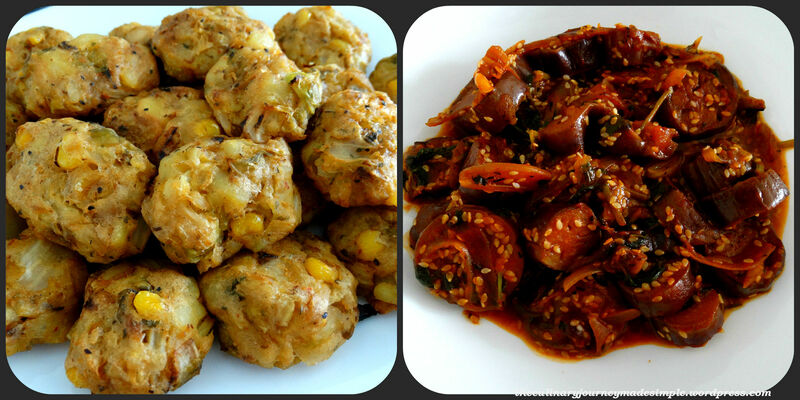 Step 6: Serve both koftas and eggplant hot with fresh bread of your choice. 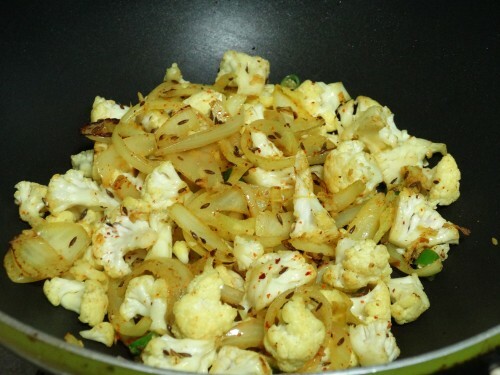 I used only the egg white in this dish and added few spices to make it more flavorful. The best part about this dish was the color. It was so colorful, had five colors in it! I’ve mentioned before as well…. 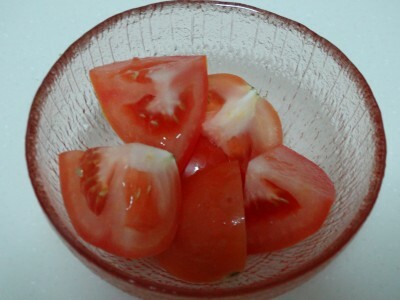 the color of a dish is something which always excites me…. the more colorful the better!!! The dish had a slight coco-nutty taste (of course it would as I had added the coconut) but the spices and other ingredients gave it a unique mixed flavor. 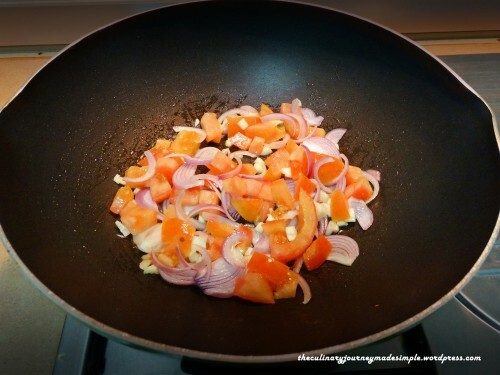 Step 1: Heat oil in a wok or U-shaped pan. Add the butter followed by paprika, coriander powder and fennel powder. Stir for few seconds. 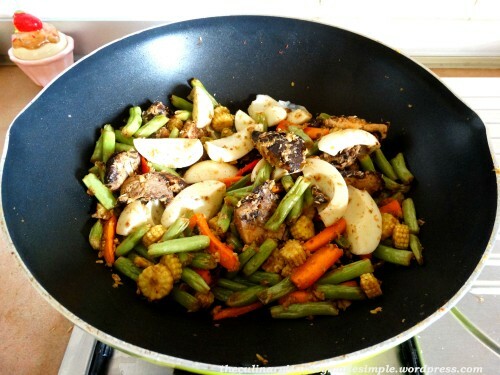 Step 2: Add the green beans, carrots and baby corn along with the ginger garlic paste and cook for around 10 to 15 minutes or until almost cooked, stirring well every few minutes. Step 3: Add the mushrooms and cook for another 5 minutes until it has softened and mixed well with rest of the ingredients. 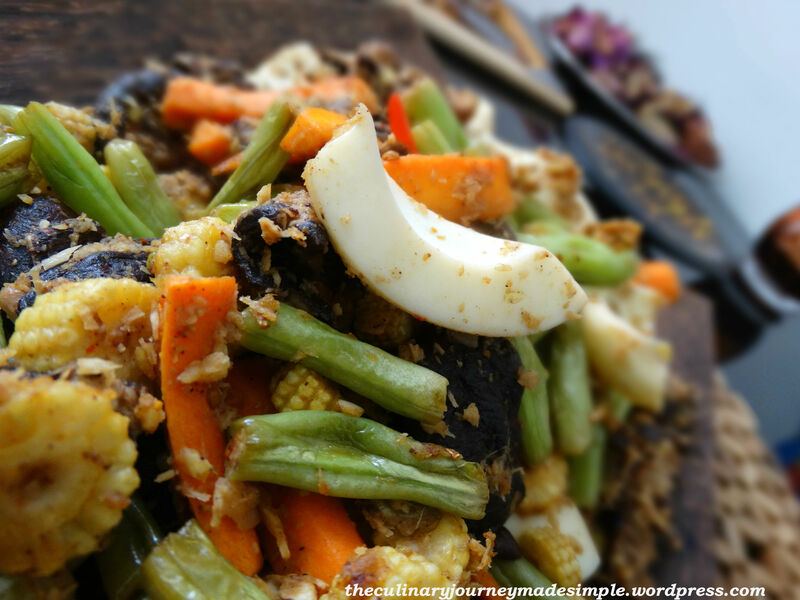 Follow by adding the grated coconut. Mix well. 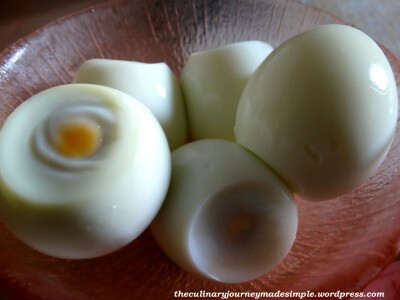 Step 4: Add the egg whites and lightly mix with all the ingredients. Add salt for taste. Step 5: Transfer to a serving dish. Serve hot immediately with bread of your choice. I had run out of cream while preparing this dish. You can add whipped cream or coconut cream to the dish if you do not like it too dry. 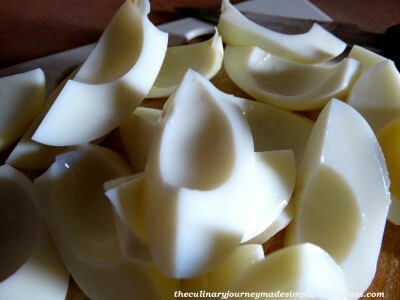 If you do not like the eggs boiled, you can scramble them and add them to the dish too at Step 4. 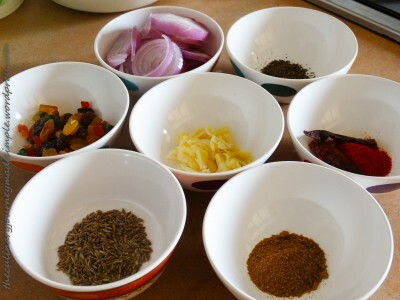 If you’re a real spice lover, add more spices (which suits your palate) to the dish. 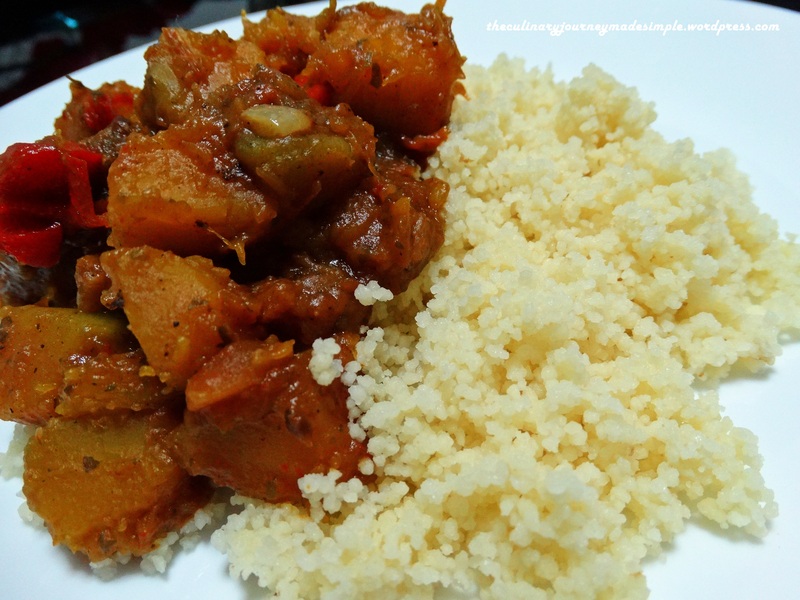 But after I prepared this dish, it actually didn’t seem so tough with vegetables either. I decided to use coconut cream and I was right! It was so easy to cook and it gave the perfect taste! 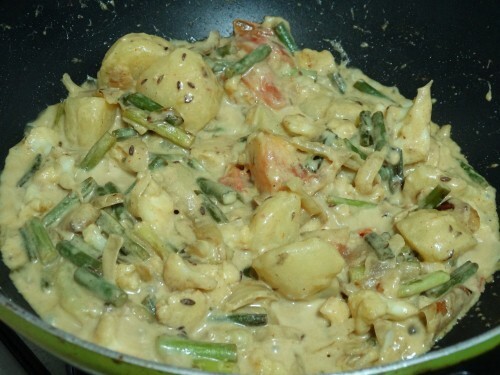 The dish reflects the taste of the coastal Indian cuisine, as coconut cream is widely used for most of the dishes there. 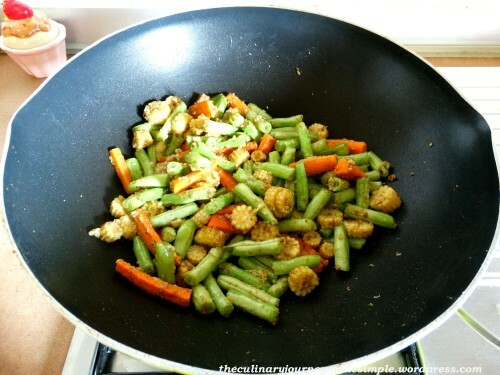 Step 1: Heat oil in a wok or U shaped pan. Add cumin powder. 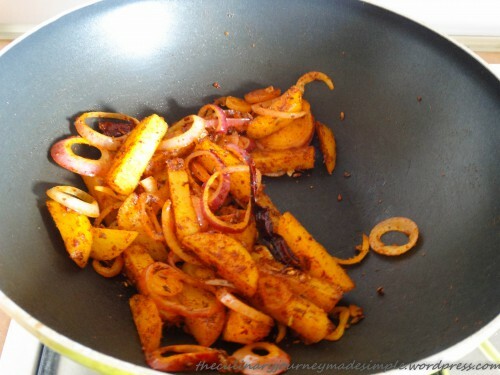 Step 2: Add the onion and turmeric powder and fry for around 3 to 4 minutes. 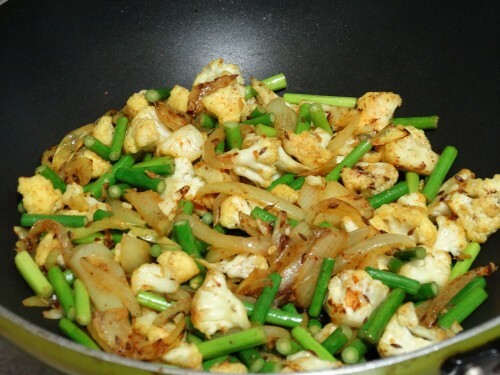 Step 3: Add the cauliflower and green chili and cook for 5 to 10 minutes or until the cauliflower is half cooked. 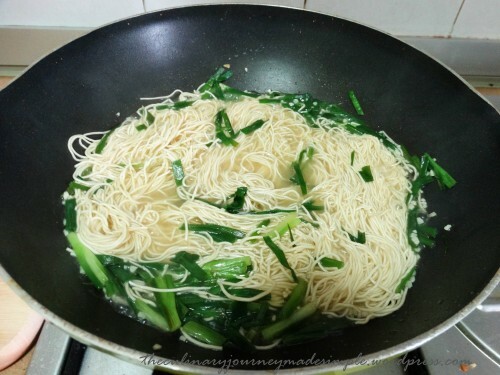 Step 4: Add the spring onions and cook for another 2 to 3 minutes. 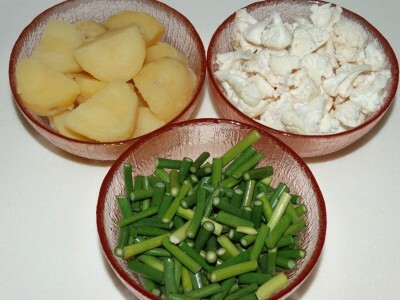 Add the boiled potatoes and tomatoes. Stir for 2 minutes. Step 5: Add the coconut cream. Cook for 5 minutes or so until it has mixed well with all the vegetables. Add salt for taste. Step 6: Add the five spice and give it a stir. 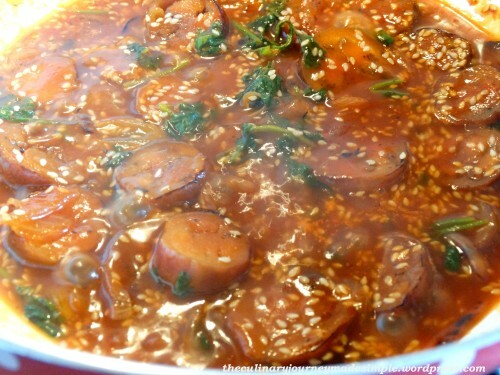 Serve hot with rice or bread. 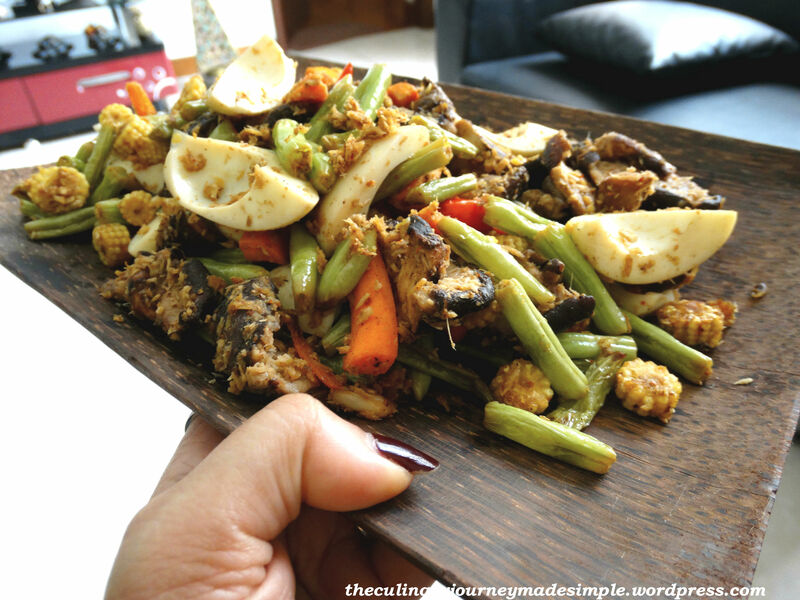 Feel free to add vegetables of your choice to this dish. 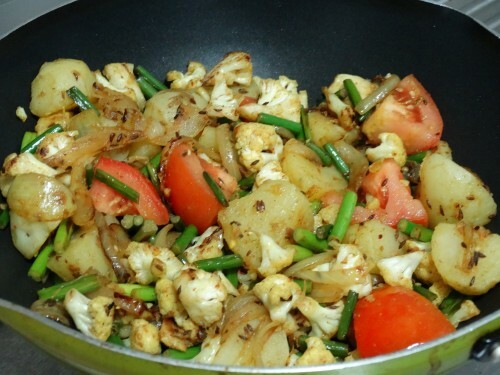 You can add a little tamarind sauce to give a tangy taste to the dish. I used the light coconut cream for this dish. You can use the same as a healthier choice.